Purpose: Install nesting boxes for native wildlife in particular the Squirrel Glider a threatend species found within the area. 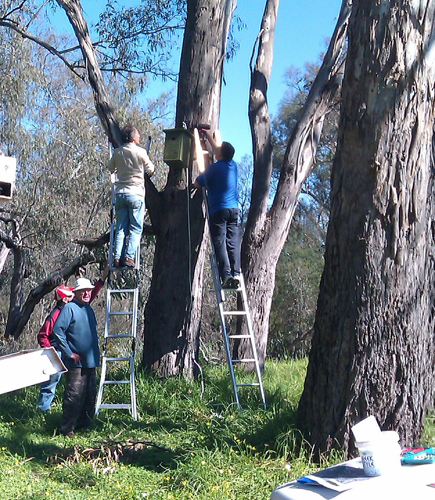 Alison Mathews (CSU lecturer) confirmed a Squirrel Glider nest in a previously installed nesting box. Observed many Red Gums suffering badly from dieback with some already dead. 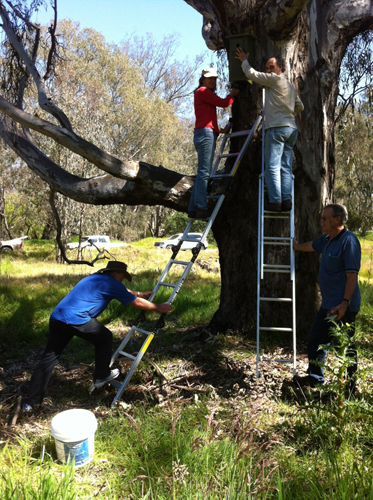 The Landcare Group will seek an expert to assess the Red Gum dieback.